The New Zealand Mint and the Niue Island state have become a well-established team when it comes to surprise coin collectors and precious metal investors all over the world.After many popular bullion coins, there is now for the first time a Disney Bullion coin in silver and gold. The NZ Mint has launched various Disney coins in the past and selected a particularly iconic motif for the first investment coin with Mickey Mouse optics: Steamboat Willie first appeared in 2014 on a coin and was now transferred to Bullion format, however in a highly simplified form.The coin shows the radial lines, which are typical for Niue and which are supposed to make life difficult for the counterfeiters. 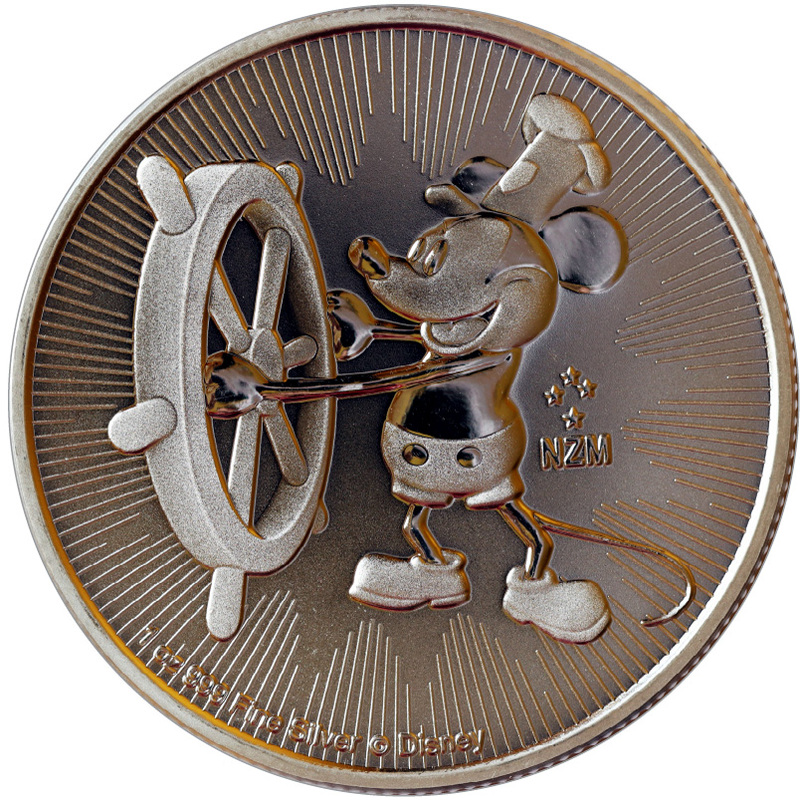 On the coin, Mickey Mouse holds on to the wheel of the steamboat, on the front is the usual design of all Niue bullion coins. 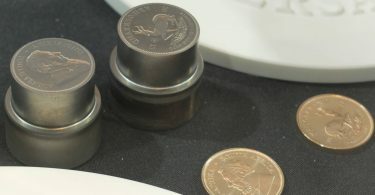 The edition is only 250,000 pieces in silver and 25,000 pieces in gold and is sold exclusively as a one-ounce variant. Tubes contain 25 pieces and monster boxes a total of 250 coins.The gold coins are sold individually encapsulated. In Germany the coins are sold by various dealers individually at prices close to the pure silver value.